This dentist was more crooked than the teeth he was supposed to fix. 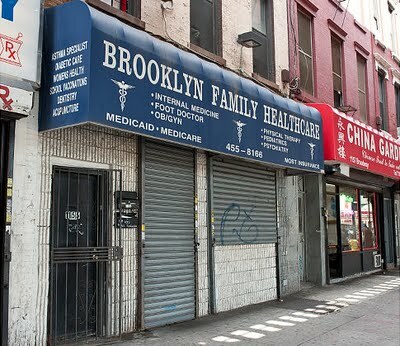 A devious Brooklyn dentist who used homeless people to scam Medicaid and state taxes out of almost $700,000 faces up to three years in prison after pleading guilty to fraud today, authorities said. Lawrence Bruckner, 62, paid recruiters to bring vagrants to his two dental offices – where he would fake a glance at their mouths before billing Medicaid for extensive work he never performed. The scheme took place between 2007 and 2011 in Bruckner’s offices in Canarsie and Bushwick, according to Attorney General Eric Schneiderman and Comptroller Thomas P. DiNapoli. Bruckner and his colleagues were paid $6.3 million by Medicaid during those years – and more arrests are possible, authorities said. Bruckner paid his recruiters $25 for each homeless person they rounded up outside shelters and soup kitchens. The vagrants themselves received $15 after their visit. THE Advertising Council wants to encourage children to brush their teeth — by giving them something to watch while they do it. The plan is part of a new multimedia public service campaign to promote oral health among children, with support from the council and a coalition of over 30 dental organizations. The campaign is directed primarily at parents and caregivers in low-income families, and stresses how important it is for their children to brush their teeth for two minutes twice daily. To make this activity appealing to children, the campaign offers two-minute videos, provided by the Cartoon Network and My Kazoo, that children can watch on a smartphone or other mobile device while they brush. The videos — which include Scooby-Doo and Tom and Jerry stories, and entertainment by Dream Jam Band — are not directly related to healthy teeth. The idea is to offer videos to parents, who can use them to entice their children to spend a full two minutes brushing their teeth. The campaign — which was created by Grey New York and Wing, both part of the Grey Group unit of WPP — is intended to help low-income children in particular, with ads appearing in both English and Spanish. The Missouri Supreme Court yesterday struck down a state law that caps noneconomic damages in medical malpractice cases at $350,000. It declared that the law infringed on a person's right to trial by jury, which includes the right to have a jury set damages. The ruling, one of several recent setbacks for proponents of tough tort reform measures, illustrates the risk inherent in passing a federal law that would limit what a victorious plaintiff can receive in noneconomic (pain and suffering) damages. Such a law, supported by organized medicine and Congressional Republicans to curb supposedly frivolous suits and extravagant jury awards, theoretically could be overturned by the US Supreme Court. To buttress its ruling, the Missouri Supreme Court went back almost 200 years to the laws that governed prestatehood Missouri when an elderly Daniel Boone, pioneer par excellence, was trapping beaver there. In the process, the court overturned a state high court ruling in 1992 that upheld the constitutionality of limiting noneconomic damages. The ADA reports on the economic feasibility of midlevel dental providers (MLPs) used unrealistic assumptions and should have included data from Alaska and Minnesota, where such providers are now working, according to the American Association of Public Health Dentistry (AAPHD). "Unfortunately, the ADA report has several limitations and methodological flaws and does little to advance our understanding of the actual economic impact of midlevel providers on practices or within a delivery system," the AAPHD wrote in a statement. "The practice assumptions used in this report are unrealistic and illustrate the issue of low Medicaid rates -- which most agree are problematic -- but would not be a factor that would impact midlevels any more than it would impact dental practices." The AAPHD questioned why the report did not include information from the two states where MLPs are working. "It is unclear why information from dental practices in both Minnesota and the Alaska Native Tribal Health Consortium that currently employ midlevel providers was not included in this report," the association said. "Efficiency and effectiveness can only truly be assessed in areas where the MLPs are actually employed. Whenever possible, actual data rather than hypothetical assumptions should be used to frame public policy."